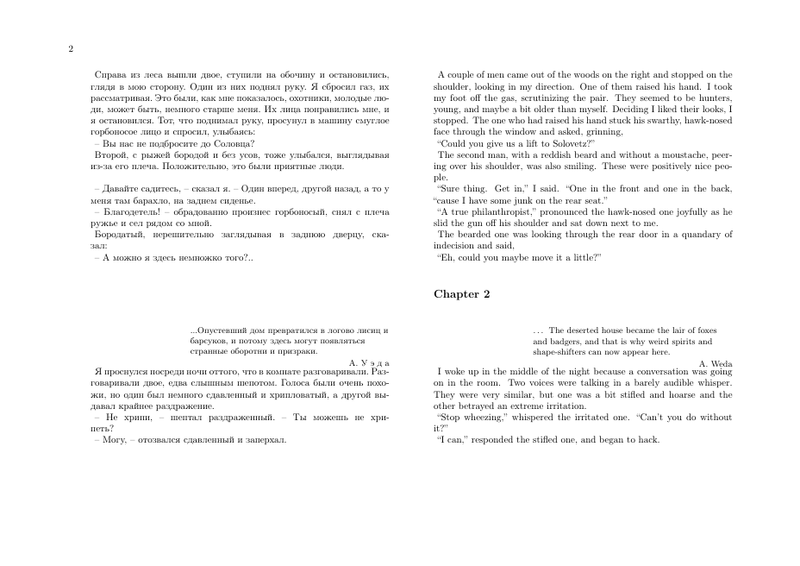 I am trying to make a bilingual book Russian-English with a reledpar/reledmac environment. 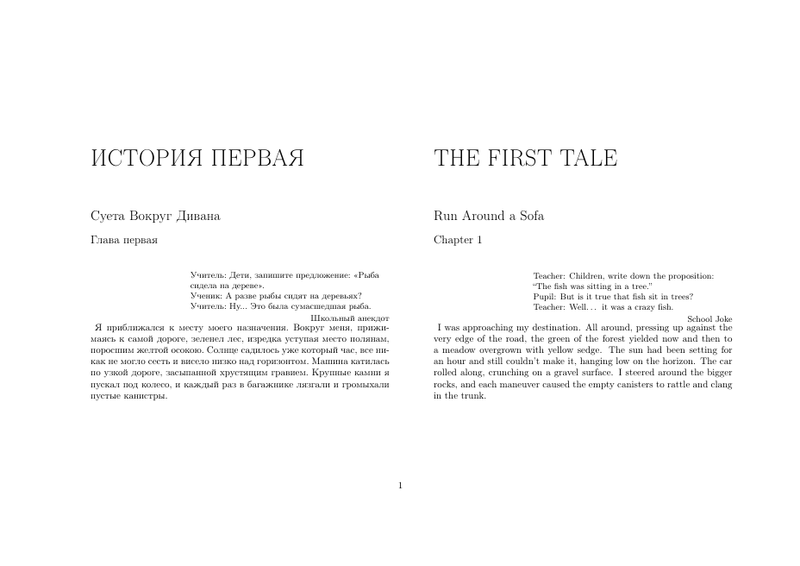 I encounter the problem where Chapter names disappear starting from the second chapter for a russian translation, whereas the font used for English chapters changes. The second man, with a reddish beard and without a moustache, peering over his shoulder, was also smiling. These were positively nice people. “A true philanthropist,” pronounced the hawk-nosed one joyfully as he slid the gun off his shoulder and sat down next to me. “I can,” responded the stifled one, and began to hack. Also, I am trying to make epigraphs body to be in italics but it does not seem to work. Where is the problem? There are two orders of problems. 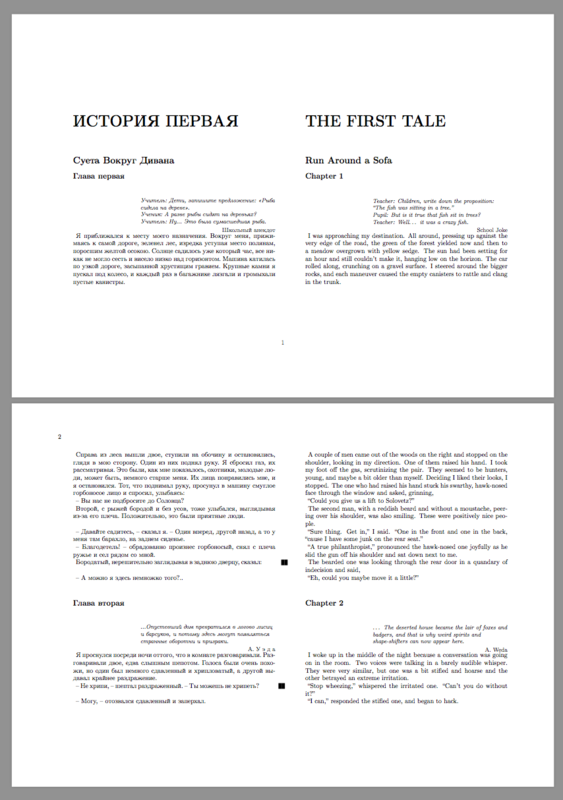 First, lmodern is not compatible with Cyrillic fonts, remove it. and similarly for \section and \subsection, the output is as expected, without errors. You should also load T1. Not the answer you're looking for? Browse other questions tagged chapters reledpar parallel-texts or ask your own question.